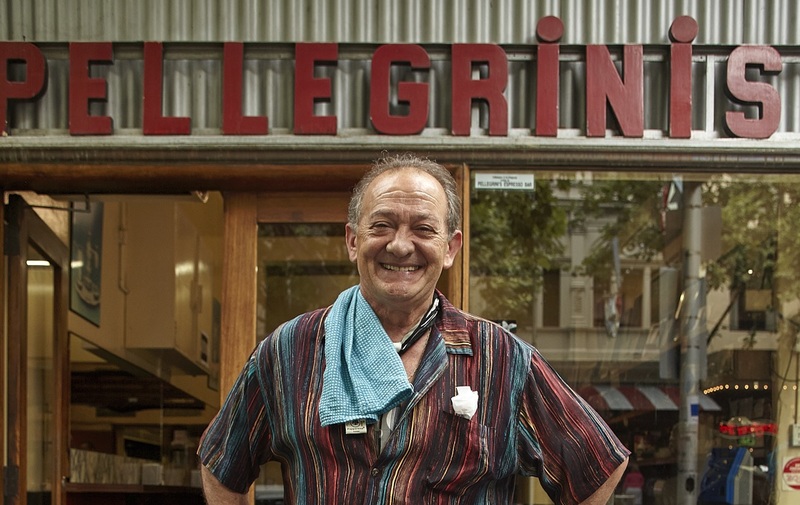 On November 9, 2018, Melbourne lost one of its most beloved restaurateurs: Sisto Malaspina, co-owner of Pellegrini’s. Sisto ran the landmark espresso and pasta bar with his business partner Nino Pangrazio for more than 40 years. A visit to Pellegrini’s is a rite of passage, a journey back in time, a warm hug. But while Sisto may be gone, Pellegrini’s lives on, continuing its tradition of down-to-earth Italian hospitality. We’re throwing a street party to celebrate the life and legacy of Sisto and the legend that is Pellegrini’s. In true Melbourne style, we’ll be taking over the laneway adjacent to Pellegrini’s for an afternoon party. The menu includes panini, gnocchi, pizza and, of course, granita from Pellegrini’s. Becco, Bottega, Gingerboy, Herbert Mason Architecture, Meyers Place, Pellegrini's, Ombra Salumi Bar, The European and Traveller are all helping to bring the event to life. $5 from every ticket will be donated to the Salvation Army. Come and celebrate everything that’s extraordinary about Melbourne’s food and wine community at the final event of the 2019 Melbourne Food & Wine Festival. Children under five are free, no ticket required.